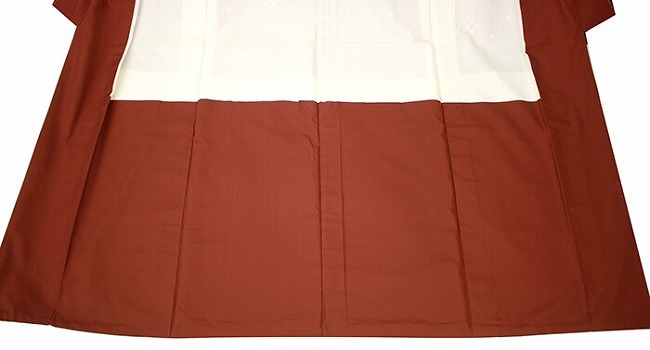 It is home Ryukyu cloth with splashed pattern pongee of the lined kimono. 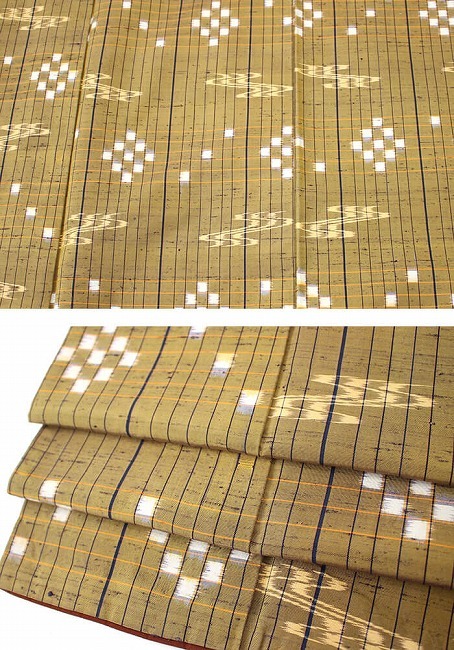 Ryukyu splashed pattern is treated by a colour of the ground that mustard and brown were mixed in. There is a certificate stamp separately. 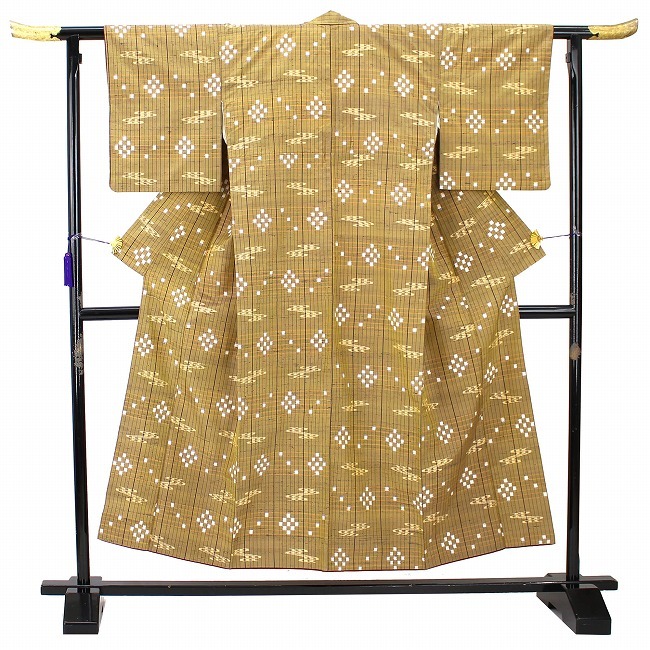 When brown hemlines at the bottom of a kimono walk, I appear for an instant and am stylish. With the cloth texture that some gnarl of the pongee place stood out, the waist cord is firm well, too. There is a weak powdered tea dirt on the trunk back a little, but becomes the point to hide in at the time of the wearing. There is color migration of the light green to the right neckband, but I am combined in a colour of the ground and am hard to understand it.